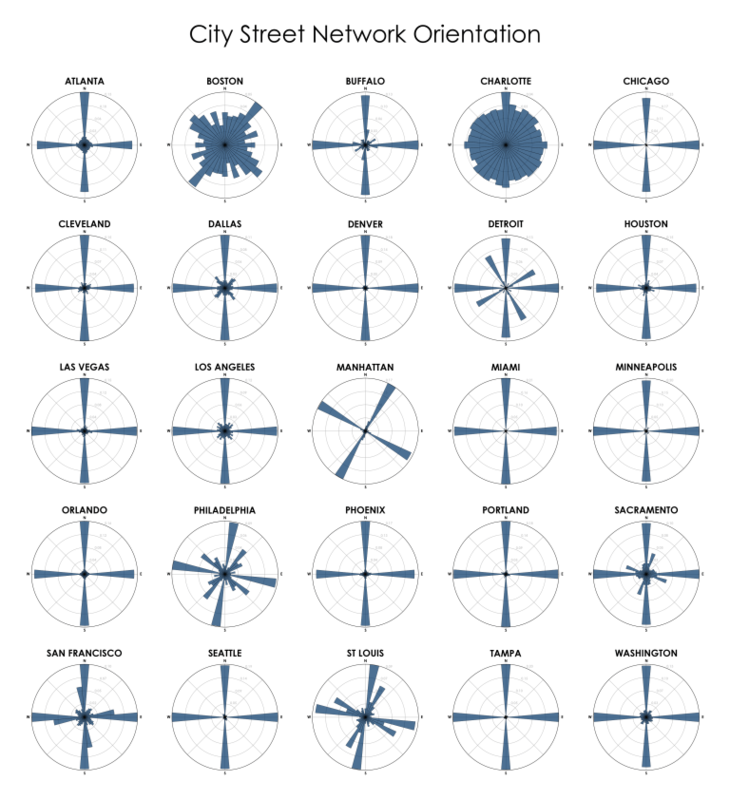 The image above is the frequency with which streets travel a certain orientation, and it’s a nifty data visualization by Geoff Boeing. What caught my attention was not just the streets of Boston and Charlotte, but the lack of variability shown for Seattle, which is a city with two grids. Kevin Lynch defined “legible” cities as those whose patterns lend themselves to coherent, organized, recognizable, and comprehensible mental images. These help us organize city space into cognitive maps for wayfinding and a sense of place. 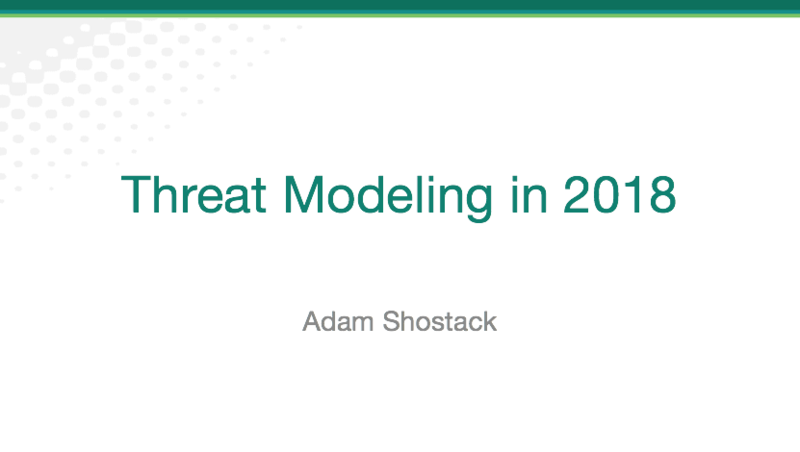 One of the questions I get all the time is ‘what’s the right way to model this system?’ And the answer is the right way is the way that helps you find threats. A good system model balances detail with abstraction. It’s laid out in a way that uses space and relative position to help the viewer follow a story. Sometimes the underlying physical or logical reality makes that easy. 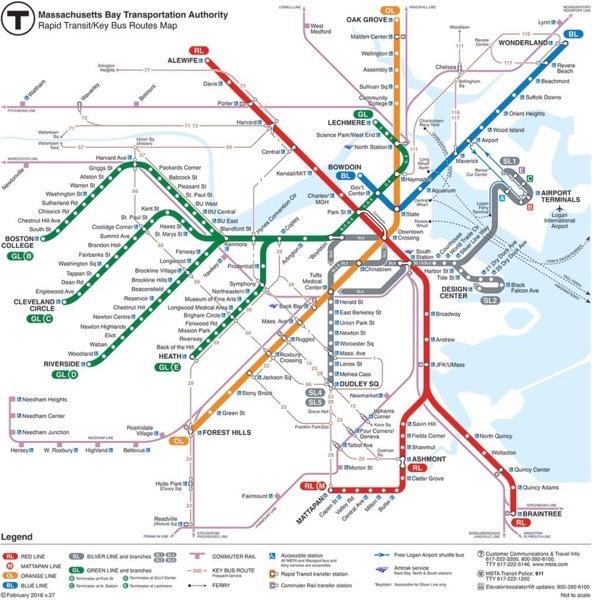 Other times, the reality is more like the streets of Boston, and the official map draws a simple picture with the southern Red Lines being the same length, and similar visual portrayal of the Green Line. 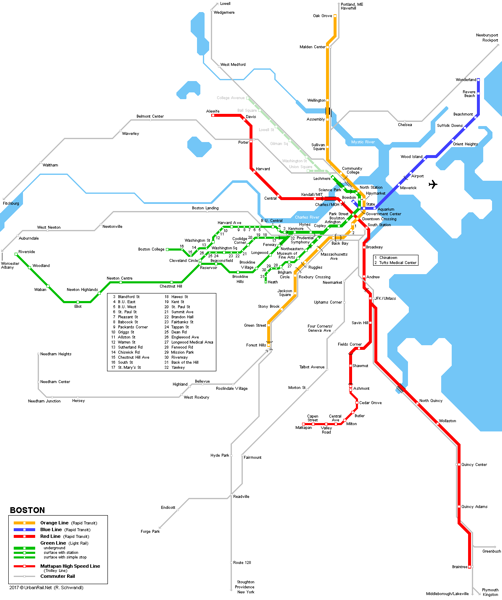 But the second map, from http://www.urbanrail.net/am/bost/boston.htm, shows a very different picture. What’s the right model? What’s the legible architecture of a system? Modeling a system that’s grown organically over decades is a very challenging task. That’s true of Windows, that’s true of many large enterprise systems, that’s true of the air traffic system. One of the advantages that cloud architectures bring is the opportunity to sweep away some of that historical complexity, and to create comprehensible models. That simplification carries value in terms of architectural consistency, makes it easier to impose checkpoints, and will be augmented over time with the accretion of complexity, inflexibility and eventually need to be swept away itself. That’s rarely easy even when computers are like crops, rather than like pets. 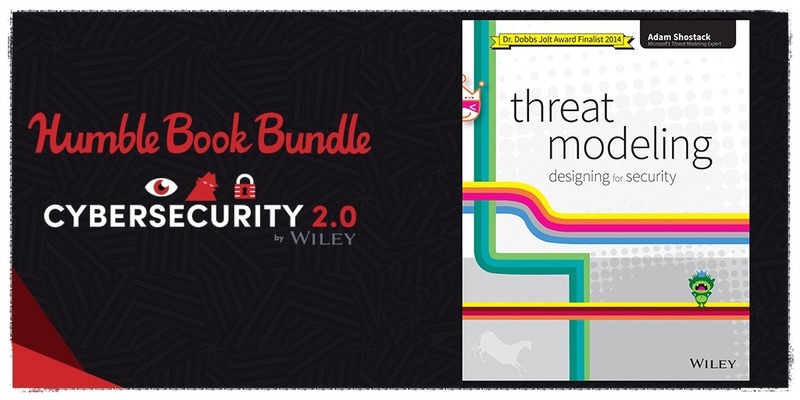 As your threat modeling evolves, it’s important to ask: what’s the legible architecture of these systems? That’s emphatically not because legible architecture is a goal. It’s a tool. Having understandable models of your systems makes it easier for everyone to interact with them, and that makes design easier, it makes evolution easier. Legible architecture is a property that makes other properties easier to achieve. I remember an interview I read with Ahmet Ertegün, the founder of Atlantic Records. He was talking about Aretha, and he said that one of his producers came in, saying that she wasn’t measuring up. He asked the producer what was up, and was told that they were trying to get her to sing like the other successful soul singers, and it wasn’t working out. Ertegün told the producer that he saw the problem, sitting right there. 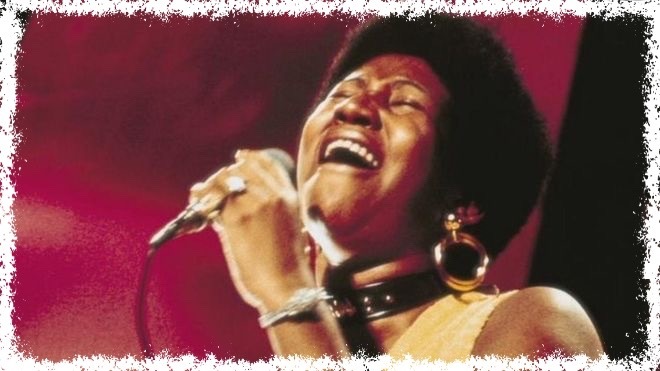 The fellow didn’t want to let Aretha do what she knew, which was gospel. There’s a lot of wisdom in that short story, from not wanting to impose our vision of what people should be, to seeing the root of a problem. In the meanwhile, I just hope that she pulls through. She’s given a lot of joy to a lot of people, and she deserves a long, happy retirement. 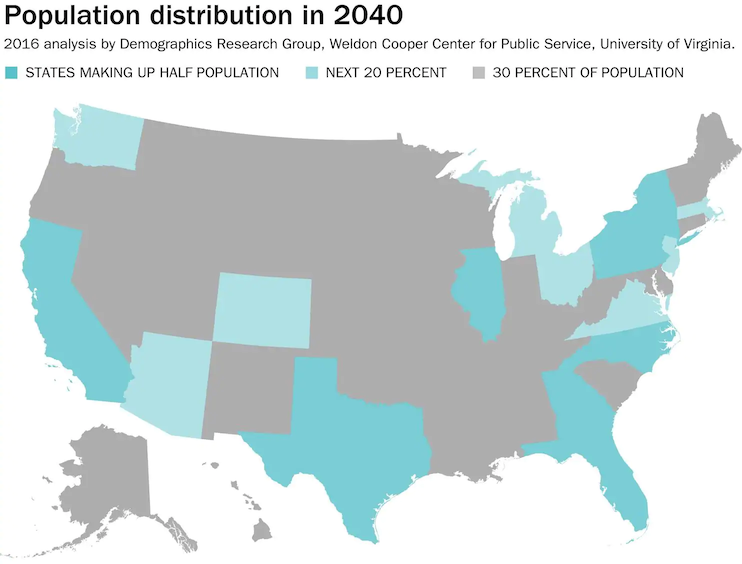 That’s the subject of a thought-provoking Washington Post article, “In about 20 years, half the population will live in eight states,” and 70% of Americans will live in 15 states. “Meaning 30 percent will choose 70 senators. And the 30% will be older, whiter, more rural, more male than the 70 percent.” Of course, as the census shows the population shifting, the makeup of the House will also change dramatically. Maybe you think that’s good, maybe you think that’s bad. It certainly leads to interesting political times. Maybe even a bit of chaos, emerging.